With the hope of creating an ongoing and sustainable adult faith formation program for our parish, it was decided to put together an Adult Faith Formation Commission whose role it would be to develop faith formation programs for the adults in our parish. We decided that our initial task should be to form ourselves on what adult faith formation really was, and how to go about implementing programs here in our parish. In that light, our first task was to study together the United States Conference of Catholic Bishops document Our Hearts Were Burning Within Us: A Pastoral Plan for Adult Faith Formation in the United States. By the time we finished studying and discussing this important document, we all had come to passionately believe in the importance of adult faith formation in and for our Church. Our next step was to develop a mission statement. After much conversation, the following mission statement evolved and was accepted by the Commission: The mission of the Adult Faith Formation Commission (AFFC) of Ss. Peter & Paul Catholic Church is to develop, implement, and sustain an ongoing adult faith formation program to include a variety of diverse opportunities for adults to grow in their personal relationship with Jesus Christ and with each other, and in the process bring about more willing and able disciples in the church and in the world. Now we were ready to go! But where would we hold our programs? 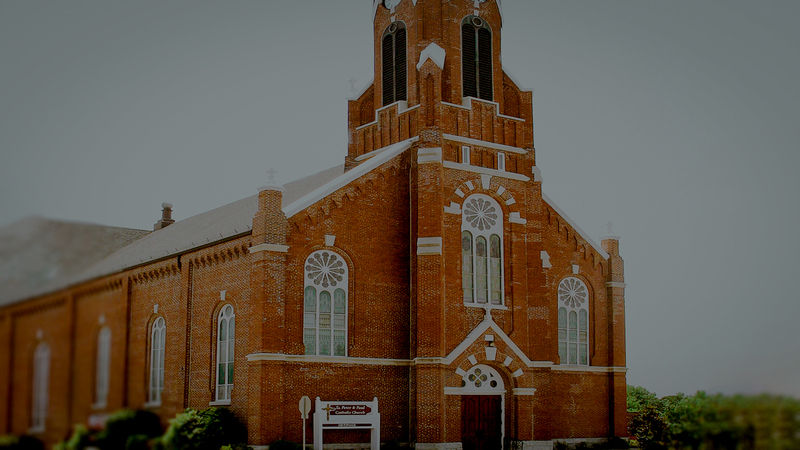 Like most churches, space is in great demand and in short supply. 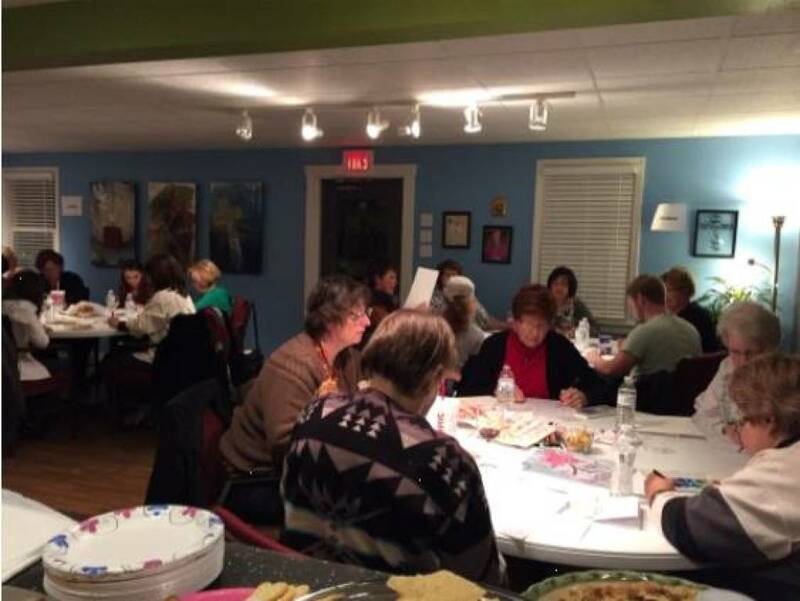 Our parish office and our new Mary Anne Gibbs room were busy most nights, and simply could not accommodate a broad spectrum Adult Faith Formation program. But thanks be to God, as a result of the SPPCS renovation, the pre-school moved to the main campus of SPPCS and the house that was the pre-school became available. 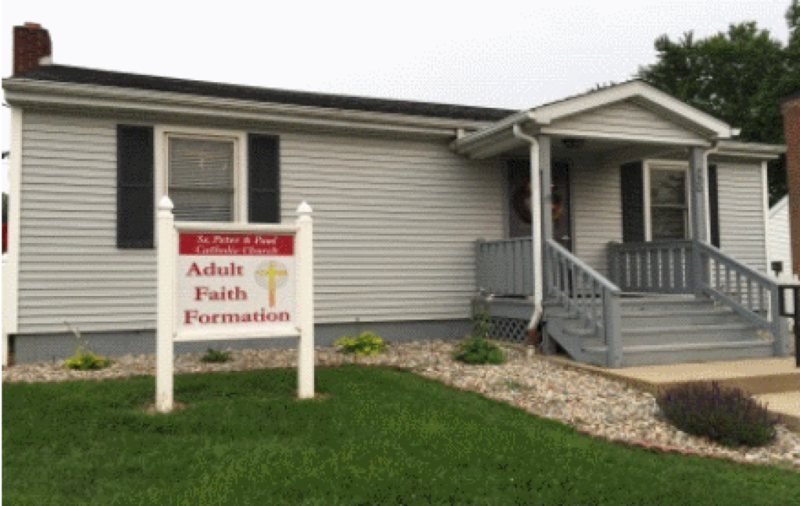 Due to the generosity of hundreds of parishioners who donated dollars, time, and talent, the pre-school house was gutted, fully renovated, and now houses all of our Adult Faith Formation programs. If you haven’t seen it, you need to join us for one of our programs! If you have any suggestions for upcoming programs, the Adult Faith Formation Commission would love to hear from you! And of course, you are cordially invited to come to any or all of our programs. And feel free to bring your friends! We know you will be joyfully welcomed and that you will enjoy an evening of great conversation, fellowship and learning in a lovely, peaceful enviro nment. And the coffee is great, too! Please call Karen Seaborn, Pastoral Associate for Adult Faith Formation, at 939-6426, ext. 22, if you have any questions, suggestions, or would like more information about any of our programs!